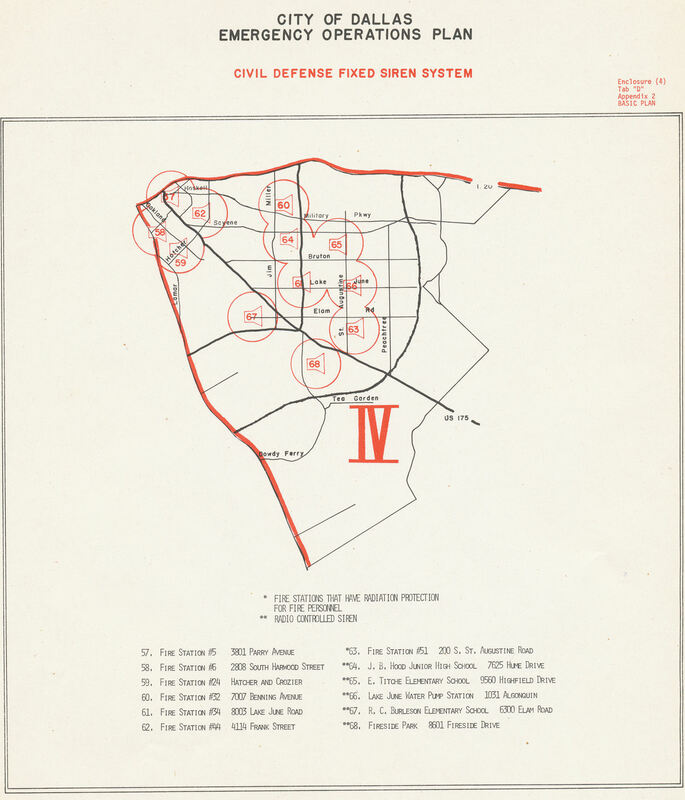 These map scans are from the old City of Dallas 1974 Civil Defense Emergency Operations plan. 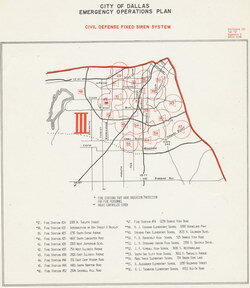 Most of the sirens on the maps are located at fire stations which is where the city installed their first sirens in 1959. According to the articles below those sirens were controlled by the fire personnel at the stations. 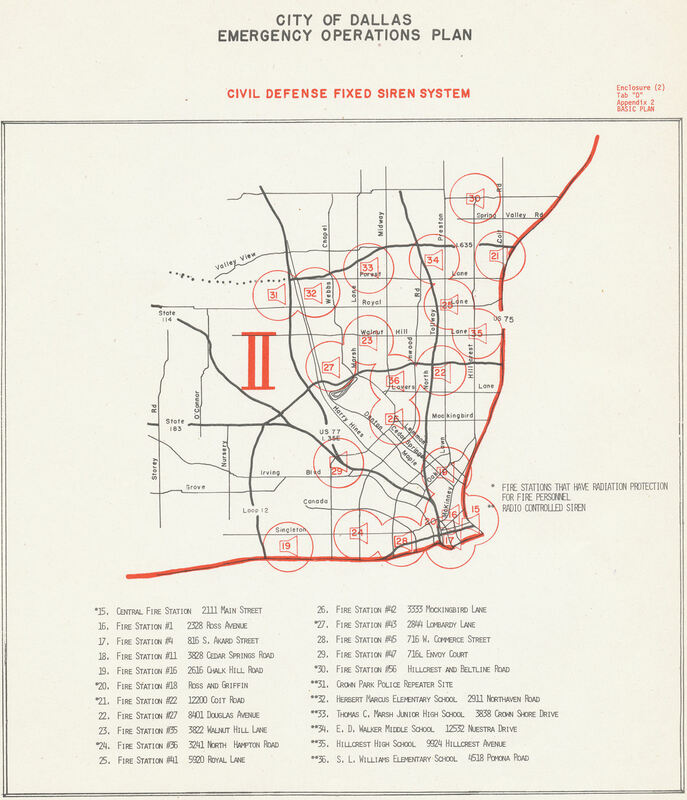 The radio controlled sirens on these maps were added later though I don't know exactly when but it must have been around 72,73,74. 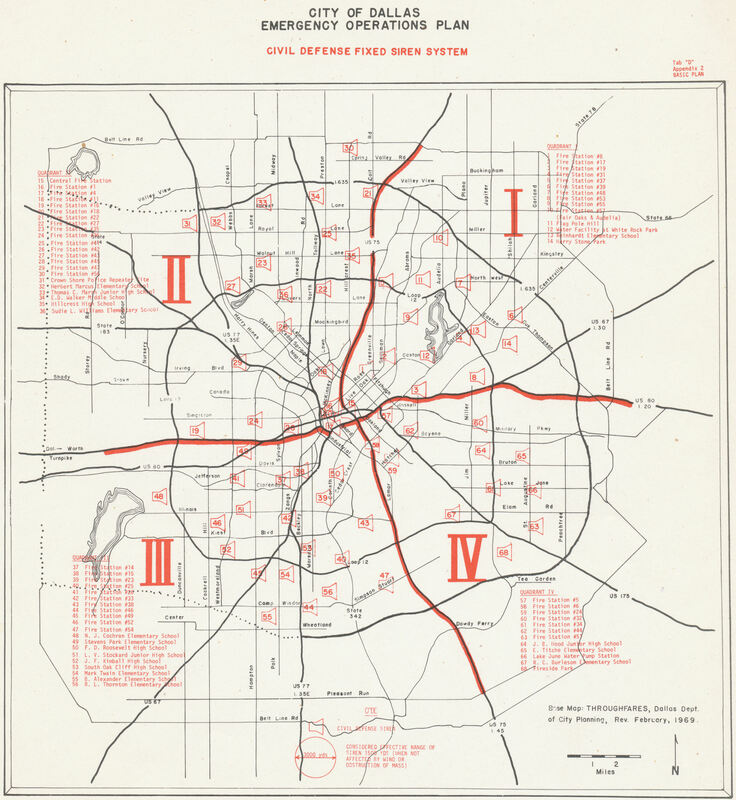 Dallas added additional sirens again in the late 1970s. 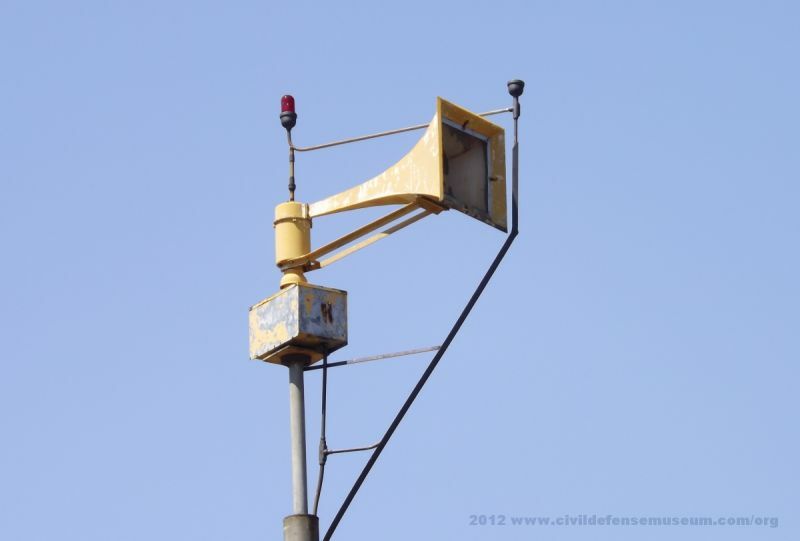 The city also moved some of the existing sirens to other locations at this time as well. 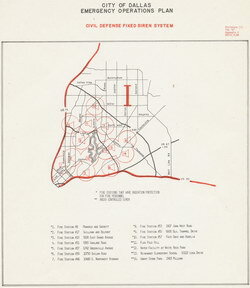 More sirens were added as new fire stations were constructed into the 1980s. 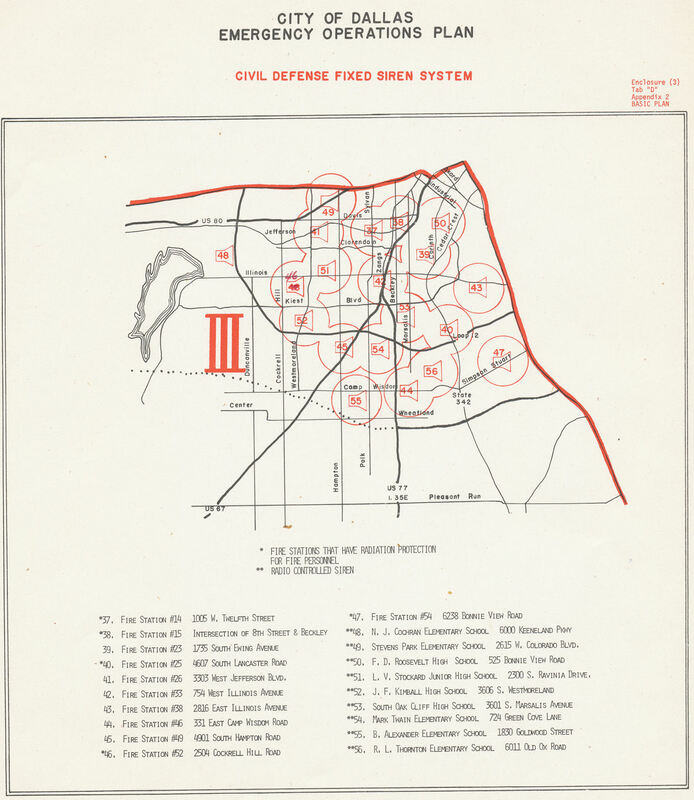 As of 2014 the entire old Dallas siren system is now out of use and a new system of Federal 2001 sirens has been installed and as of November 2014 almost all of the old sirens still remain standing. These scans are fairly large image files so they might take a while to load. Here are some 1959 newspaper clippings I found in the Dallas Public Library clipping archives. I was amazed when I came across these. 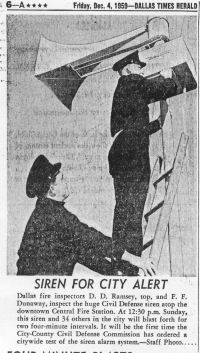 Full articles are shown if you click to see larger images. 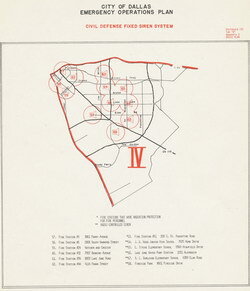 All are in JPG format but scans are large enough to read. I don't have a date on the article at the above left. 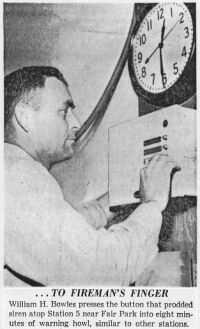 It must be early 1959 because the other two articles are both dated December 1959 and are about the first siren test the city performed after the sirens were insalled. 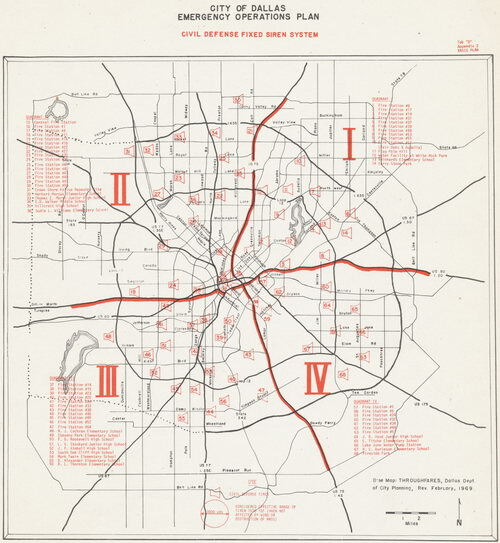 The earlier undated article states that the sirens will be installed at all Dallas fire stations and that there are 38 sirens. 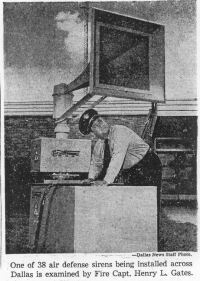 The later December dated article states that 35 sirens were tested. I speculate below that the Fire Station 48 siren was probably purchased with the 1959 sirens because that station was completed in 1961. 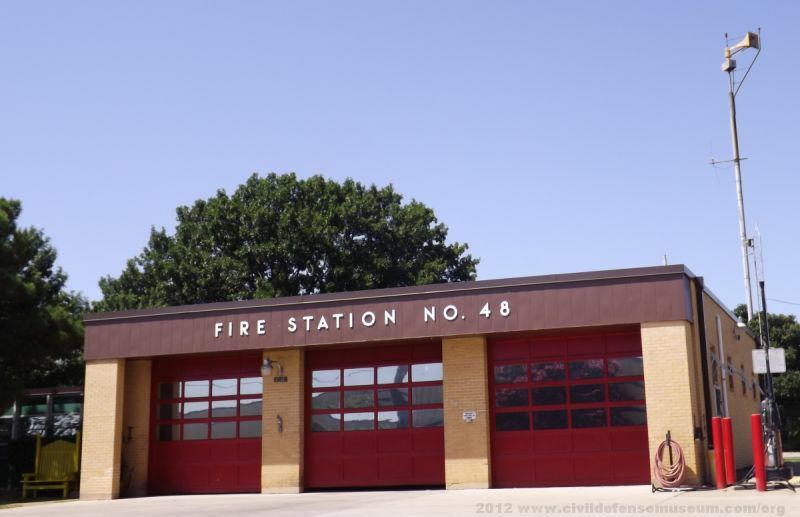 Here is a photo from 2012 of Dallas Fire Station 48 located at Northwest Hwy and Lullwater Drive in Dallas. This station was opened in May of 1961 so I believe the siren at the station should be one of the original sirens purchased by Dallas in 1959 and then installed when the station was completed. 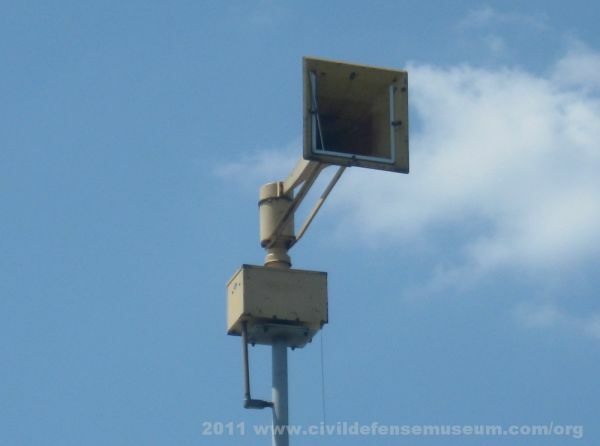 All of the early installed Dallas sirens are on these high steel poles like the one in the photo. 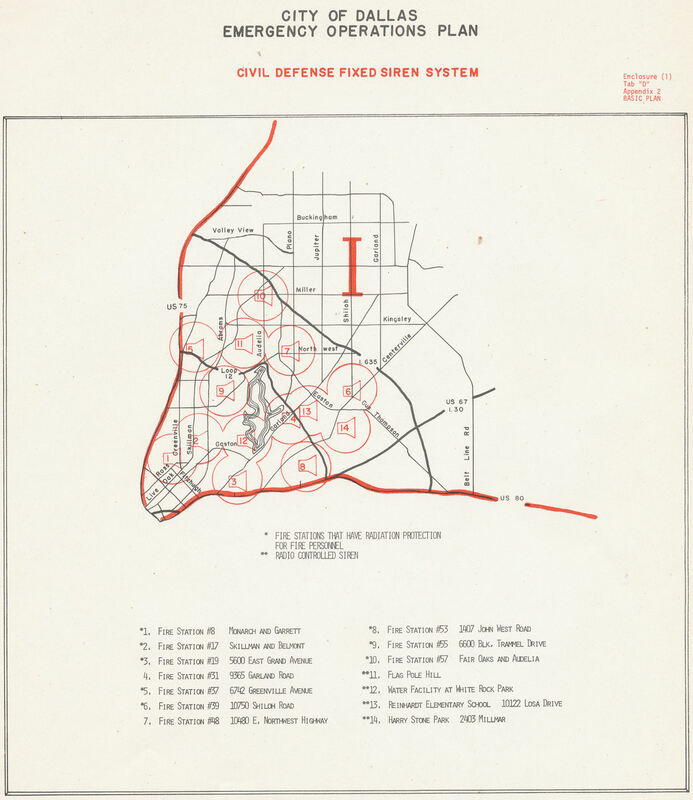 This station is located a few miles west of where the Dallas Garland airport used to be located so it the siren tower was equipped with aircraft anti-collision lights. 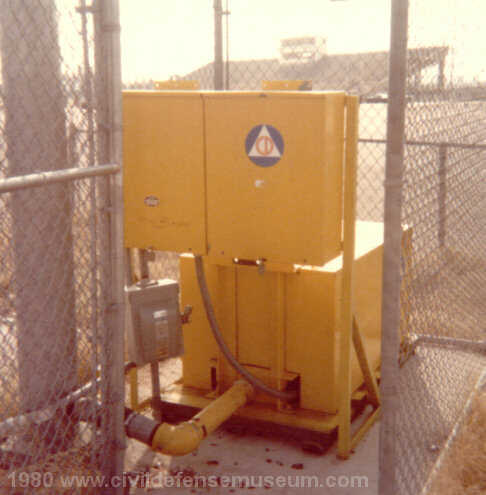 The siren at Station 42 by Love Field and the siren at Station 49 by Dallas Executive Airport also had the same type of anti-collision lights. 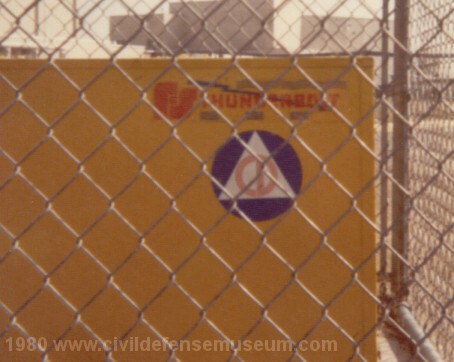 The Federal 2001 siren that replaced the old Thunderbolt at Station 49 has an anti-collision light installed on it today. One of the early 1970s additions to the Dallas siren system located at the old water works plant at White Rock Lake in Dallas is this 1000T. 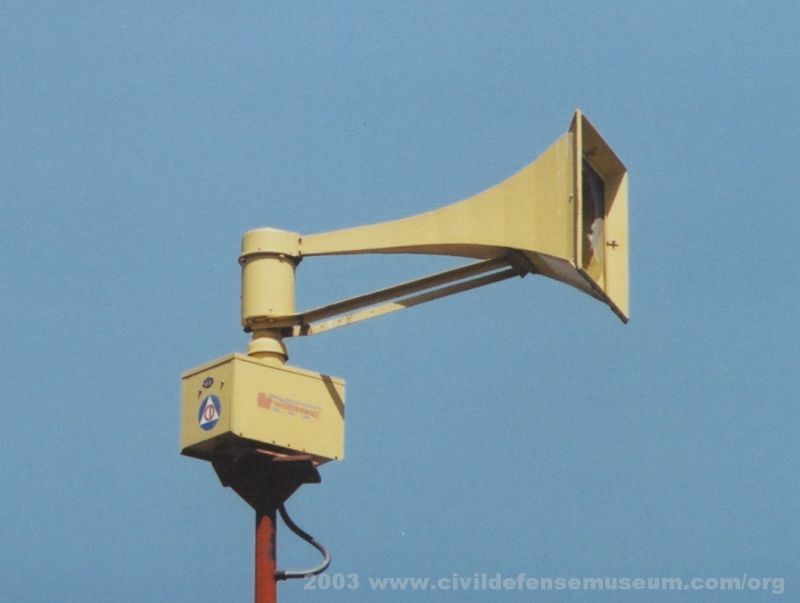 There were reports of this siren being set off by pranksters in the very early 1980s. 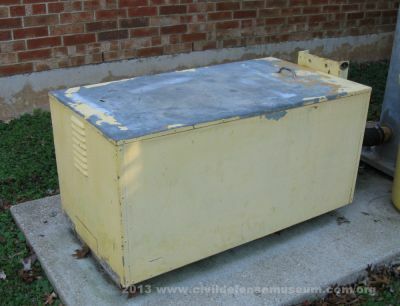 I remember the title of a Dallas newspaper article "Siren Calls Forth Dreams Of Wrath" and the article stated that the siren was set off the previous night and that it ran until it "burned itself out". Wonder who could have been responsible for that?? The siren had a timer on it at the time so I doubt if it ran until it burned itself out. As of late 2017 I heard that the blower had been removed to make room for a park bench but that the pole and siren were still there. Need to go by there and check that out. This is one of the sirens Dallas added in the mid/late 1970s. 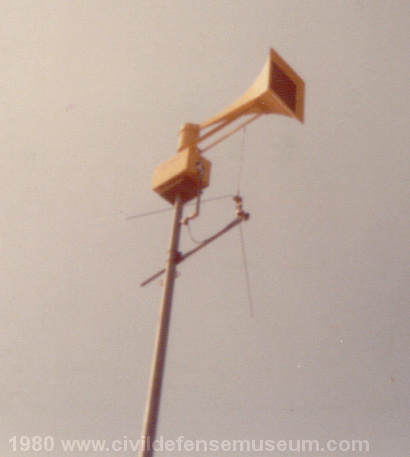 I took these photos in 1980 when the siren was virtually new. This siren is still located at the school as of late 2017. 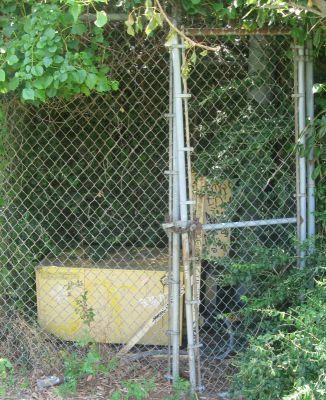 This siren was located at Dallas Fire Station 10 and was removed in 2013 when the station was remodeled and expanded. 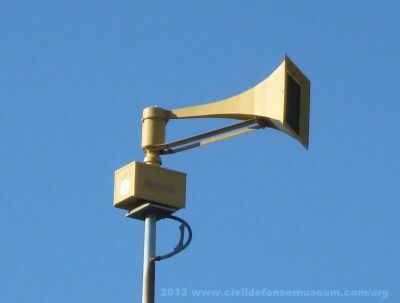 I picked up this siren the day after it was taken down and delivered it to Oak Ridge Texas east of Gainesville for use as a storm warning siren. The ownership of the siren was transferred directly from Dallas to the town of Oak Ridge at that time. 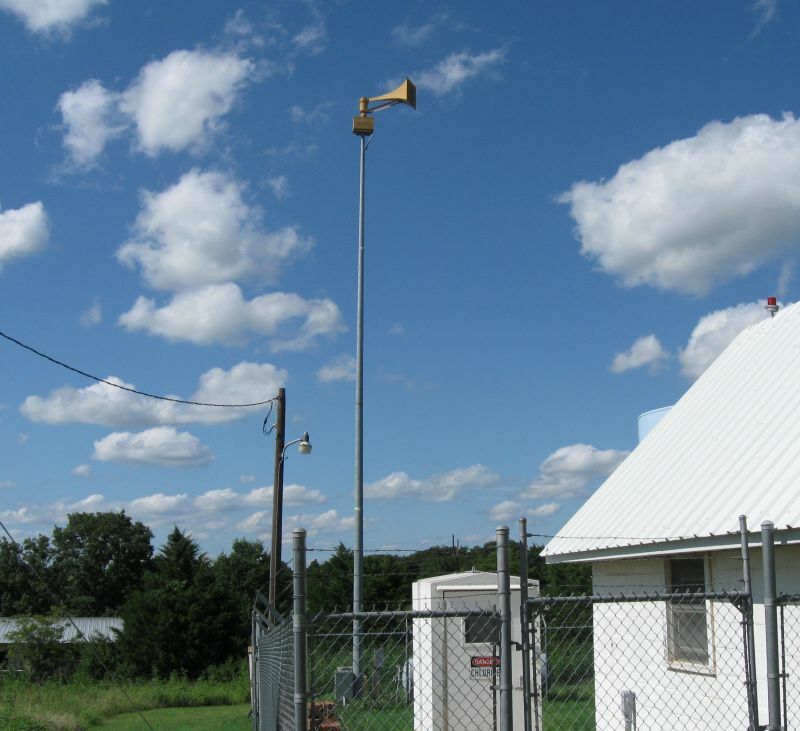 Below is a photo of the Station 10 siren installed and back in service at Oak Ridge, Texas. 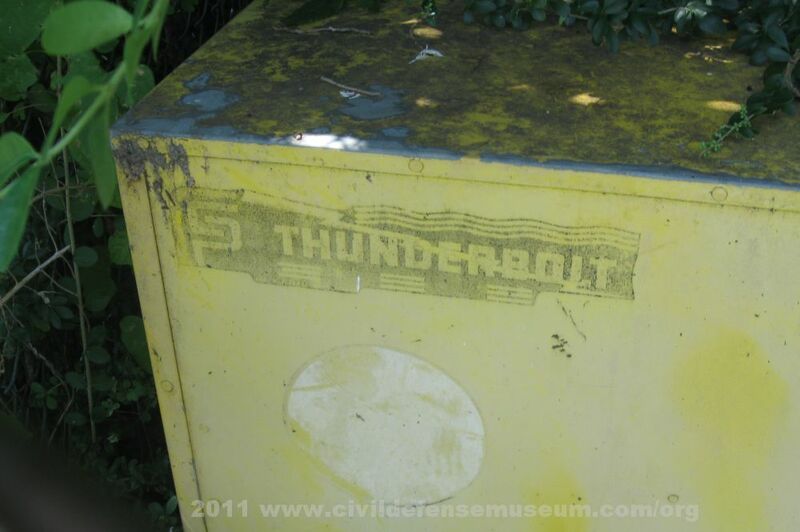 I took some photos of this siren in 2003 and it was by far in the best condition of any Thunderbolt in Dallas that I remember seeing. 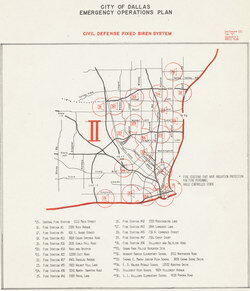 The Dallas Fire Dept. web site says that this station was built in 1988. It was removed to make way for a cellphone tower behind the fire station but I don't know when that happened. I have no idea what happened to the siren.